Understanding the purpose of how a Deed, Promissory Note, and Deed of Trust intermingle is important for a Texas real estate investor. Whether you are flipping properties, wholesaling, or lending, knowing the role of each of these documents can help you understand the foreclosure process and help investors recognize opportunities. For example, if you are a wholesaler or flipper you’ll be able to tell how much time a homeowner has before they get foreclosed. If you’re a lender this information can give you an idea of when to start the foreclosure process. Need an attorney to increase your profit margins? Please contact our office for a free consultation. We are involved with real estate investments daily and will ensure you have the proper real estate documentation. Although modern real estate transactions can seem like endless piles of paperwork, there are three fundamental documents that are commonly found in most transactions; 1) deed, 2) promissory note, and 3) deed of trust. Despite their importance, few people can state or distinguish the role of each document. Errors in the preparation and/or execution of these documents can lead to the loss of one’s home or hard earned investment. While a solid understanding of these documents does not qualify one as a real estate expert, failure to understand each document ensures amateur status. More importantly, it can mean the difference between a successful transaction or losing one’s home or investment. The deed is by far the most important document in real estate as it represents title to a property. Without this document, it is impossible to identify the true owner. It is also the document that transfers (conveyance) title from one party to another. 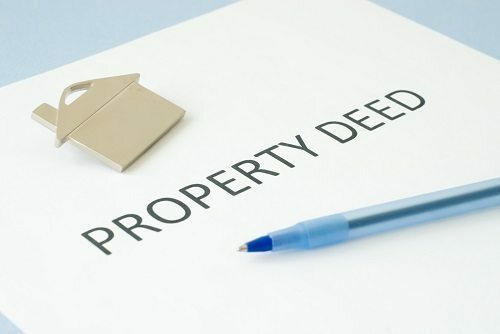 Although state laws may differ, generally a deed must identify the party selling or gifting the property (grantor) and the party purchasing or receiving the property (grantee). The deed must generally be signed by the grantor and accepted by the grantee. It is commonly confused with the deed of trust (described below) although they are not equivalent. The deed of trust in Texas, also known as the power of sale, is the document that authorizes a lender to foreclose a property without court intervention. Although this document is not legally required, if it is not obtained and a buyer fails to pay the note, a lender must foreclose the property with permission from a court (judicial foreclosure). Judicial foreclosures substantially increase the time and expense to regain possession of the property and prevent lenders from recouping their losses. An investor or bank lending money for the purchase of a property should always obtain a deed of trust or they risk turning an asset into a liability. The promissory note, more commonly referred to as a note, is a document used to finance real property over time. Generally, the purchaser gives the seller a promise that they will be paid the value of the property over time. The note should include the terms of the loan such as the loan amount, interest rate, length of the loan, monthly installment, pre-payment penalty clauses, and other relevant information regarding the loan. Changing terms of the loan (i.e. loan amount or interest rate) can result in significant differences on the return of investment. Questions about a deed of trust?